"We saw the polar bears,"
what I had done with my day. Poet's Notes: First when my son was little and then when his sister was little, I would frequently take them to the Pittsburgh Zoo. 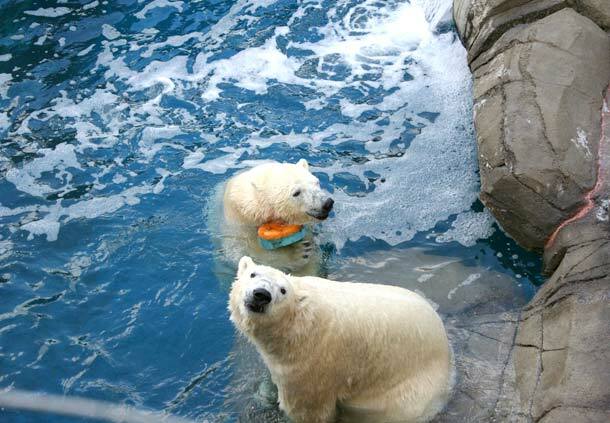 This poem is about visiting soon after the zoo opened a new polar bear exhibit (pictured). My daughter Lucy was two years old; both of us were excited, and Lucy was patient while we waited for the bears to actually appear. This was one of many occasions on which Lucy turned what might have been merely a small happiness into a great joy.